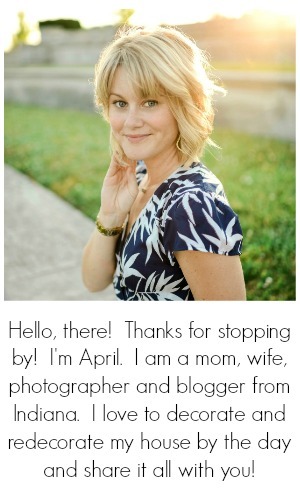 Thank you so much for all of your sweet comments on my magazine feature that I posted about earlier this week. You’ve all made me feel so special, and your support means so much to me! You guys, the craft supply situation is a bit out-of-control in our house. I blame it on the Target Dollar Section and Hobby Lobby’s never-ending supply of cute random supplies. I mean how am I supposed to walk through the dollar section and not grab one of everything I see? So, anyway. I keep buying craft supplies, which is forcing me to get creative for storage solutions. 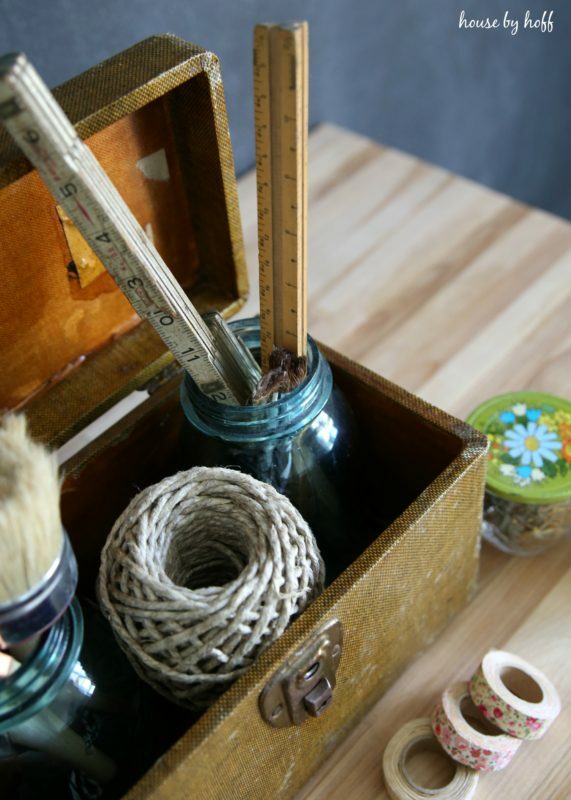 I’m always finding cute vintage boxes and jars, and recently I started putting them to good use for craft supply storage! These cute little jars with the colorful floral lids are little vintage jelly jars that I found a few years ago at a thrift store. 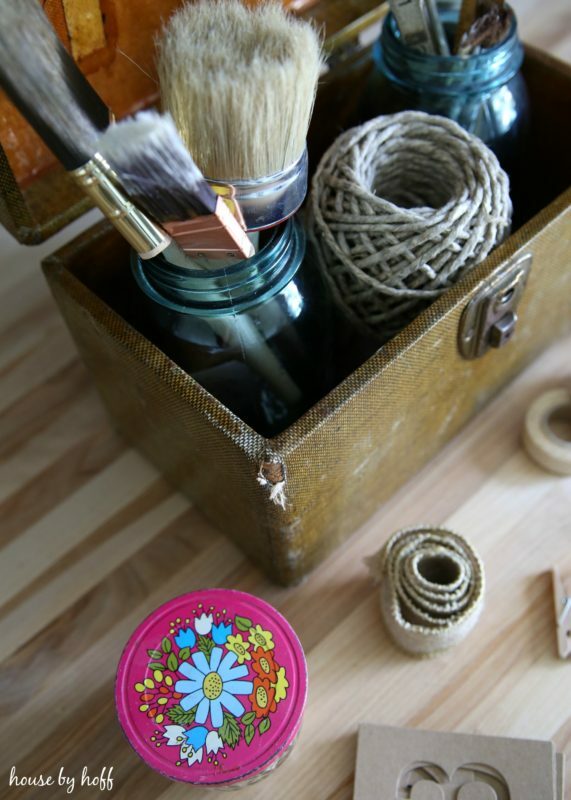 I keep extra wood beads, mini clothespins, and extra cabinet knobs in them. 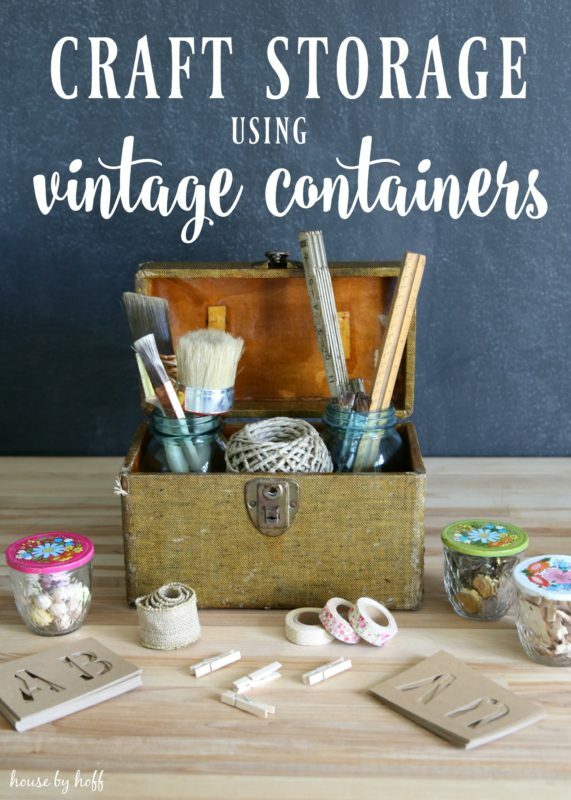 Doesn’t it make the cutest little vintage storage container you ever did see? 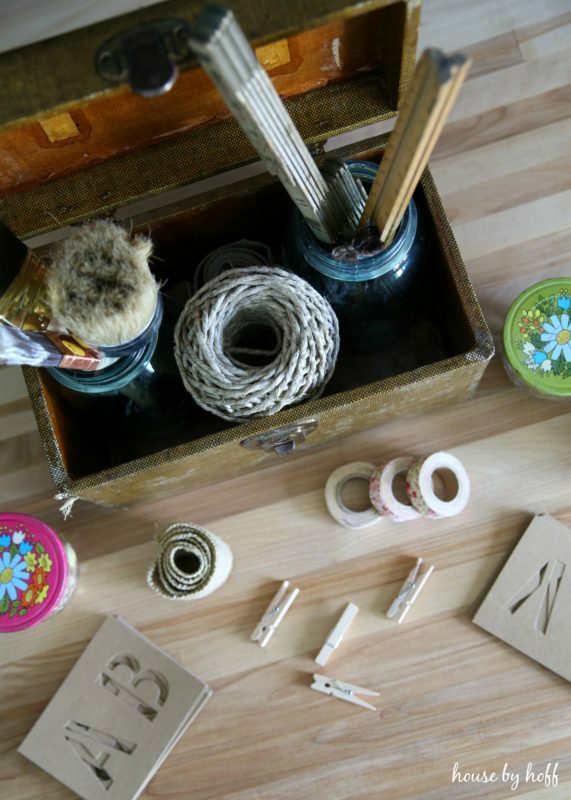 I love being able to use vintage boxes and jars for craft storage! It’s so much cuter than a plastic tub, no? 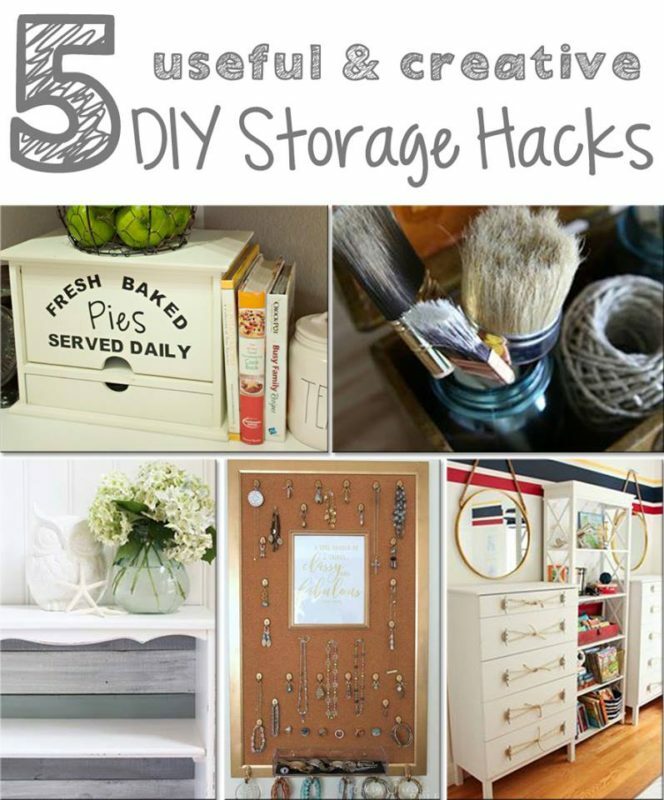 Don’t forget to link up your DIY Storage Ideas on August 7th at 7:00 PM! 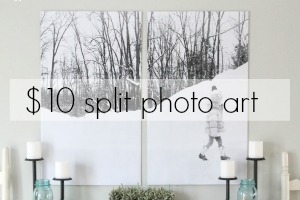 Previous Post: « Our Home Feature in American Farmhouse Style Magazine! Adorable! 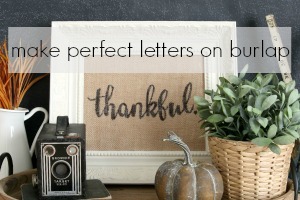 Such cute character to add to your craft space. And roadside finds?! The best!! 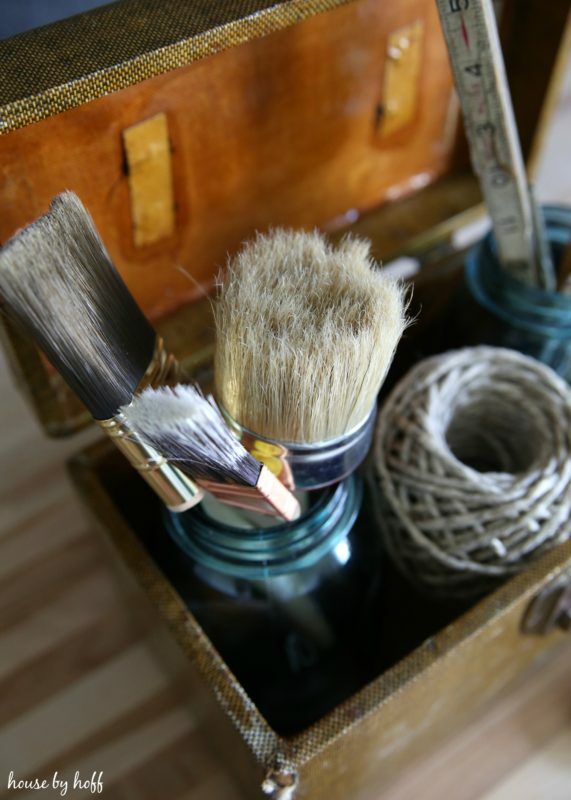 I love this idea, not only is it a great storage, but pretty decorative piece to.